AfterSails products are individually handmade (machine sewn) from recycled sails and other sailing materials, lines, and hardware. Our aim is to recycle as much of the sails as is possible to keep them from landfills, while at the same time creating attractive, durable and useful products. AfterSails products are made from recycled materials. Evidence of use, wear, and discoloration is to be expected and is a normal part of the product. All new UV-resistant polyester thread is used in the sewing of the products and the workmanship is guaranteed for a period of 30 days. Defects in workmanship (excluding dog and cat toys) will be repaired or replaced at AfterSails' sole discretion for 30 days from the date of purchase. Contact sales@aftersails.ca for further details. Otherwise, all sales are final. Custom orders are accepted subject to availability of time and materials. Quotes for custom orders can be made upon request to sales@aftersails.ca. If a quote is accepted, a non-refundable deposit of 50% must be made before the work is started. AfterSails now also does minor sail and canvas repairs, including fasteners. Contact us for details. Modern sails are made from a variety of synthetic materials. While Dacron is the most common, newer laminates are increasingly being used. AfterSails products may vary in composition depending on the availability of materials at the time. Polyethylene terephthalate (PET), the most common type of polyester, is the most common fiber used in sailcloth; it is also commonly referred to by the brand name Dacron. PET has excellent resiliency, high abrasion resistance, high UV resistance, high flex strength, and low cost. Low absorbency allows the fiber to dry quickly. PET has been replaced by stronger fibers for most serious racing applications, but remains the most popular sailcloth due to lower price and high durability. Dacron is the brand name of DuPont's Type 52 high modulus fiber made specifically for sailcloth. Allied Signal has produced a fiber called 1W70 polyester that has a 27% higher tenacity than Dacron. Other trade names include Terylene, Tetoron, Trevira, and Diolen. Nylon is used in spinnakers because of its light weight, high tensile strength, superior abrasion resistance, and flexibility. However, it has a low modulus allowing too much stretch to be suitable for upwind sails. Nylon is more susceptible to UV and chemical degradation than polyesters and its physical properties can change due to moisture absorption. Polyethylene naphthalate (PEN), commonly known by Honeywell's trade name "Pentex," is another kind of polyester fiber, which stretches only 40% as much as standard PET fibers, but about twice as much as Kevlar 29. Because it only shrinks about a third as much as a good PET, PEN cannot be woven as tightly; thus, woven PEN must be impregnated with resin making sails prone to damage from improper use and handling. PEN is better suited for making laminated sailcloth, where the fibers are laid straight for strength and are bonded to sheets of film for stability (e.g., PET film often called by one of its trade names Mylar), or as a taffeta outer layer of a laminate, protecting a PET film. PEN laminates are an economical alternative for higher performance sails. Kevlar, an aramid fiber, has become the predominant fiber for racing sails, since it was introduced by DuPont in 1971. It is stronger, has a higher strength to weight ratio than steel, and has a modulus that is five times greater than PET, and about twice as high as PEN. There are two popular types of Kevlar: Type 29 and Type 49, the latter having a 50% higher initial modulus than Type 29 but a lower flex loss. DuPont has developed higher modulus Types 129, 149 and 159, but these have seen little use in sails, since generally as the modulus increases the flex strength decreases. DuPont has recently introduced Kevlar Edge, a fiber developed specifically for sails with 25% higher flex strength and a higher modulus than Kevlar 49. Kevlar, along with other aramid fibers, have poor UV resistance (Kevlar loses strength roughly twice as quickly in sunlight as PET) and rapid loss of strength with flexing, folding and flogging. 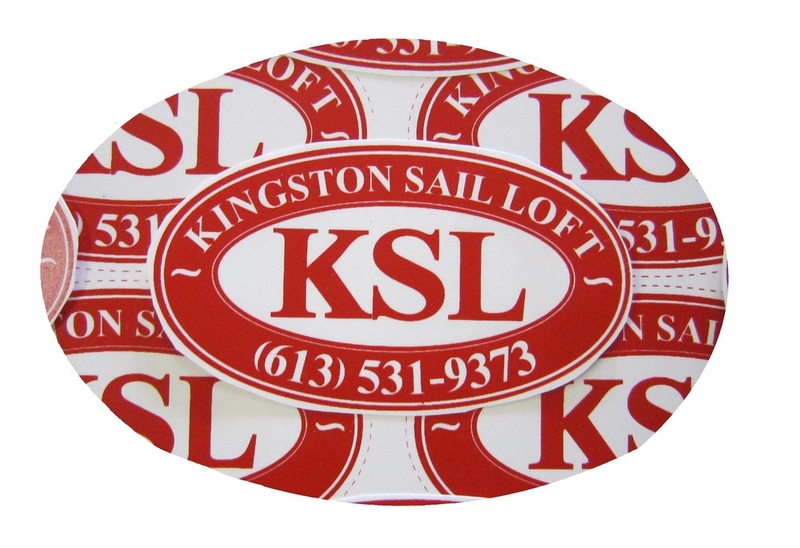 Minimal flogging and careful handling can greatly extend the life of a Kevlar sail. See the Wikipedia entry for Sailcloth (https://en.wikipedia.org/wiki/Sailcloth) for more information on the materials used in the construction of sails. Most sails, with the exception of brightly coloured Nylon spinnakers, are white, hence most AfterSails products are also predominantly white. Nylon spinnaker cloth is generally very lightweight, and it is currently only used for the lining of some totes. Sails do have a variety of markings on them including numbers, insignia, sail maker logos, tell-tales (small pieces or ribbon or yarn that indicate proper airflow when adjusting the sails on a boat), and grommets. These elements are incorporated into the composition of the product whenever possible. A single product may also use different materials from several different sails. Designs that incorporate hardware use either brass or stainless steel hardware. Most hardware used, with the exception of grommets, comes from the recycled sails and will show normal signs of wear and tarnish. Where do we get our materials? Used sailing materials - sails, canvas, sail covers, dodgers, biminis, Sunbrella, lines, etc. in any condition are accepted for recycling into AfterSails designs. Keep these materials out of landfills. Contact sailrescue@aftersails.ca to arrange for drop-off or pick-up in the Ottawa, Brockville, and Kingston areas. n. 1. (Naut.) The sails on the mizzenmast, or on the stays between the mainmast and mizzenmast.